Sustainable Buildings Pauley Pavilion went behind the scenes this past week see what really keeps the lights on (or in this case, the heating/air conditioning) for all of the basketball games, gymnastics meets, and concerts that go on in the Pavilion. The team went on a tour of the mechanical room in Pauley Pavilion with the UCLA Facilities Department. 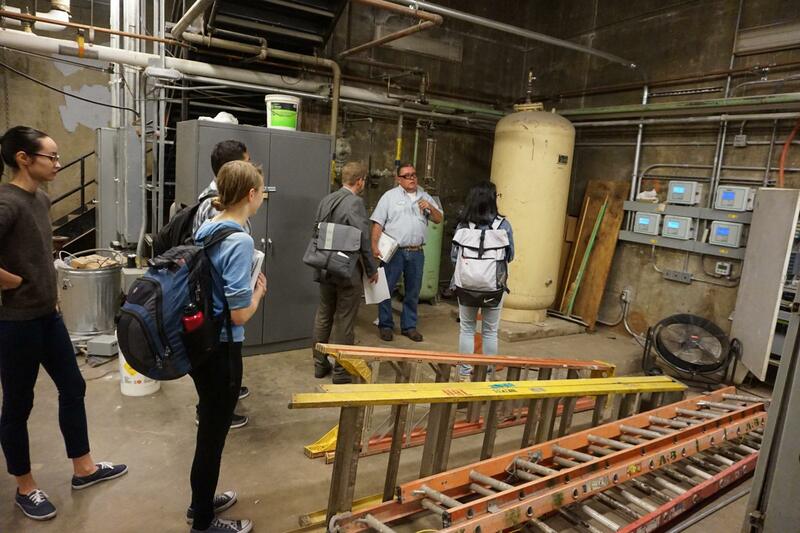 They were able to learn about the heating and cooling of the building and learn about the role that water plays in the building’s heating, ventilation, and air conditioning (HVAC) system. 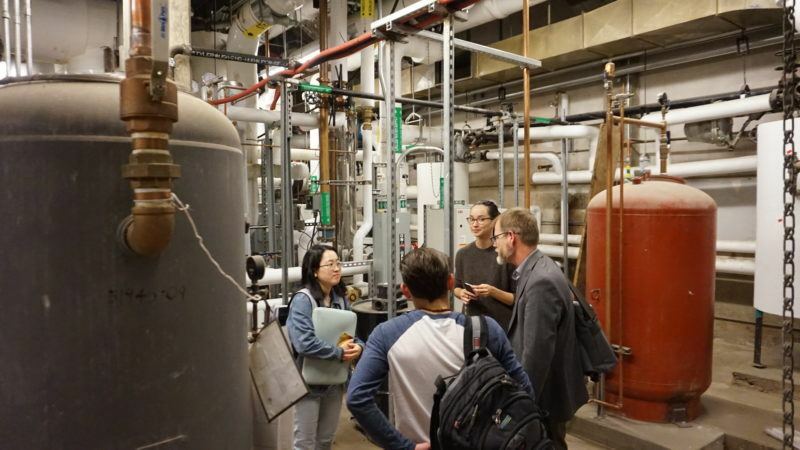 The team also learned about the potential to capture the condensate off of pipes in the room and reuse this water in other parts of the system. This could be a great aspect of sustainability included in the LEED certification report. In addition to the tour, the team submitted their TGIF application and attended their TGIF hearing. The team applied for funds to cover the LEED registration costs and the LEED certification review fee (a total of $10,202.13). These funds would go towards analyzing utility records data to find areas of Pauley Pavilion that could be renovated to contribute towards LEED certification of the building. It would also pay for the LEED registration of the building. During the hearing, they were asked questions about the tangible aspects of their project and the importance it had on campus. Upon exiting the hearing, the team felt confident that everything had gone well and they look forward to the results next week! Finally, the SBPP team has been working on the educational outreach aspect of their project. They are working with Team Green on the hill to design and distribute a flyer with energy saving tips for residents. They will also be tabling at the Green Gala coming up to share information about their project and raise support.